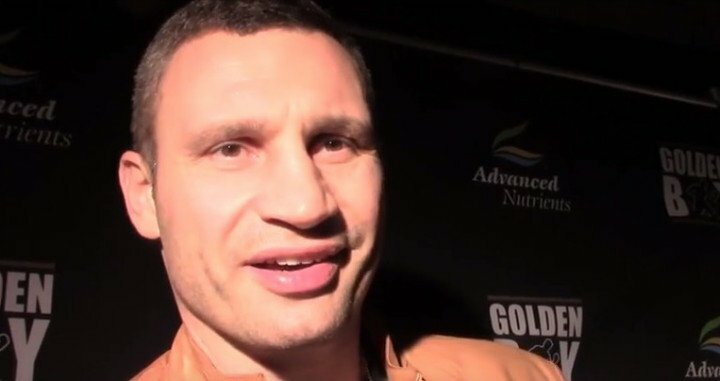 First it was widely reported how heavyweight legends Lennox Lewis and Vitali Klitschko would meet up to box an exhibition in Kiev at The World Boxing Council convention later on this year, then it was confirmed by Lewis that, no, he would not be donning the gloves for an exhibition match. Now Lewis has announced that, yes, he will be sharing a ring with his former foe – to play a chess match in front of a live audience. As per a report from Yahoo! Sports, the two former heavyweight kings who fought that great, and brutal, battle in June of 2003 will meet up at the end of September and once again they will match wits, if not fists. Both men are known for their intelligence outside of the ring: Lewis being a fine chess player and Klitschko holding a PHD in Sports Science and also being an accomplished chess player. It will be a bit of fun and not too much more (and fight fans who turn up to watch may not be too thrilled, whereas chess fans may well be engrossed) but both men will likely take the match very seriously indeed. Neither man likes to lose – at anything. Both men are in possession of a healthy ego, let’s put it that way. I can just read the comments section on this article now: how this is “a boxing web site, not a chess web site!” I agree, but it is a pretty slow news day! Who wins when Lewis and Klitschko sit down and go to war with their brains rather than their fists? These two gave us a great and memorable heavyweight slugfest 15 years ago and though fight fans would have preferred an exhibition in September and not a chess match, it’s good how the two have retained a healthy amount of respect for one another and how they will at least share a ring once again.